Hey there! Thanks for dropping by Elizabeth Kerwin Yoga! Take a look around and grab the RSS feed to stay updated. See you around! Many of you know that this form of inquiry is one of my deepest passions and that dream images comprise the only “foreign” language I have studied for over forty years! Some often ask when I will offer a daylong workshop on Dreams in our beloved community, so I have heeded the call from Stillpoint and will do so on Saturday, November 9, 9am-3:30 pm. Even if you don’t regularly remember your nighttime dreams, this retreat will honor life as a waking dream as well. I would be honored to have you join us in this collective exploration of the mysteries offered in our waking and sleeping dreamtime. Our dreams arrive as gifts from Soul, originating in Divine wisdom far greater than our rational, waking consciousness. Our dreams are not bound by cognitive, linear restrictions; they speak in the language of poetry, image and symbol. Dreams shed light on how we may live more deeply from our authentic selves, revealing truths not always apparent in our conscious, waking state. With societal emphasis on productivity and speed, it is often challenging to take time to listen to dreams and allow them to unfold. In this day together, we will enter kairos time and honor the wisdom many indigenous cultures have accessed and revered while we apprentice ourselves to the mystery held within our own and each other’s dreams. We will offer ourselves to what waking and sleeping dreams whisper, what doors they open, and what thresholds they beckon us to cross. In our gathered community we will tend to dreams offered, befriend the images, listen to what stories they tell and what they ask of us. DATE AND TIME: Saturday, November 9th, 2013, from 9:00am-3:30pm. COST: $45 (sliding scale and work exchange available). Registration required; deposit of $20 requested to hold your space. Coffee and tea provided. Bring your lunch or a simple potluck dish to share. CONTACT/RSVP: Contact Linda Conroy at 360-733-9414 or lnd.conroy@gmail.com. MAIL PAYMENT TO: Stillpoint, c/o 908 Indiana, Bellingham, WA 98225. Jillian Froebe, MA, ATR, is an ordained Interfaith Minister, Spiritual Director and Companion, Labyrinth Facilitator and Expressive Arts Psychotherapist and Teacher. 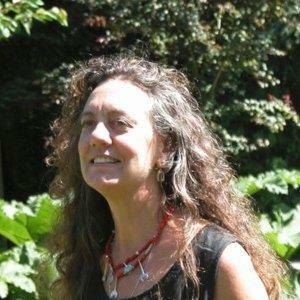 Jillian has lived and practiced in Whatcom County for 23 years where she guides individuals and groups in connecting body, mind and spirit in the quest for meaningful relationship with Divinity. Her passion for integrating sacred arts and dream tending takes many forms, all incorporating and honoring the foundational practice of witnessing. She has an abiding commitment to enliven awareness of interdependence and sustainability of our innate and collective resources.